Racine’s Home for the Best Martial Arts in the Area! Welcome to Chay's Tae Kwon Do, where we work hard each and every day to help students of all ages build confidence, discipline, fitness and defend themselves against bullies and physical confrontations. We are proud to offer high-quality Tae Kwon Do instruction in a family-friendly environment where children and adults of all experience levels can come together to learn. Whether you're hoping to improve your skills or you're just looking to stay active and have fun, we've got you covered. Plus, in our Krav Maga classes, teens and adults can master the most effective self defense system on the planet with instinctive, easy to learn techniques. Also, Krav Maga incorporates scenario based training to improve your situational awareness. Learn more about everything we have to offer or GET STARTED TODAY by filling out the short form on your screen now! You can count on us to deliver the highest quality instruction each and every day. We teach martial arts and character development in a positive and fun manner. Students learn lifelong skills of fitness and self defense and develop better confidence, concentration and discipline. Whether you’re here to help your child gain more self-confidence, respect and focus or you’re looking for an alternative to the gym workout, our classes are designed to meet your needs and help you achieve your goals. At Chay's Tae Kwon Do, you can trust that we're going to provide you with a safe, clean, and supportive environment every time you come through our doors. We take pride in making sure you're comfortable every step of the way. How Can Tae Kwon Do Help You And Your Family? There's no better way to build confidence than through accomplishment. No matter your age or experience level, our Tae Kwon Do classes can help you take small steps every day on the path to long-lasting success. As a traditional martial art, Tae Kwon Do requires patience, discipline, and focus - skills that aren't just limited to our young students. Men and women of all ages and backgrounds can boost their mental tools with the structure of our classes. We know there are dangers in the world, and we're here to help you prepare. 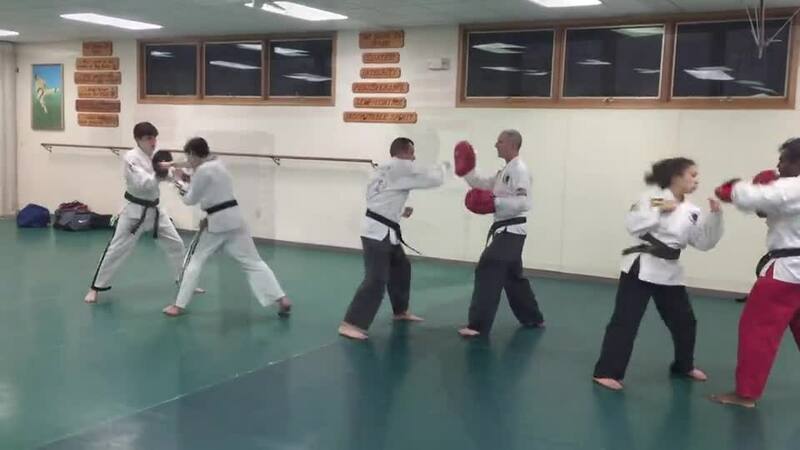 In both our Tae Kwon Do and Krav Maga Classes, teens and adults can learn the best self-defense skills in town and defend themselves and their loved ones at a moment's notice. When our community comes together at Chay's, it creates a team atmosphere and a support system like no other. You can rely on the motivation of those around you and walk away with a great group of new friends for life!